In the opening sequence, we meet David Hume at his home in the Blue Ridge Mountains of North Carolina. He is awaiting the arrival of his three adult children. Ellen, his oldest, arrives with her husband, Adam, and their child, Ben. The next to arrive is the second oldest, Stephen, and his wife, Laura, and last to arrive is his adopted third child, Jeorge. They have all come home for the anniversary of the death of their mother, Abigail, who passed away one year earlier. Ellen tells David that Ben has been acting strange lately, claiming that he still talks to Abigail. He also has been making “God’s Eyes,” old Indian symbols made of sticks and strings. At dinner that night, David tells his family about an old Indian legend. It’s a story about an Indian Brave who goes to meet his love on a nearby mountain known as Angel’s Peak. The Brave slips and falls off the mountain, but his love prays to the Gods to bring him back to her, and they reward her by causing the winds to blow the Brave back up the mountain, unharmed. David goes on to tell them that he has been listening to an internet preacher who claims that the world will end at 6am on September 1st –- exactly one year after Abigail’s death. David tells his family he has sold the house, quit his job, and given away his life’s savings in preparation for the end of the world. He wants the entire family to hike up to Angel’s Peak the next morning to await the Final Day. He believes the winds will bring the dead back up the mountain, and his children will see their mother again. Ellen erupts, claiming David has lost his mind, but as she tries to leave, she notices that Ben is no longer in the house. They all go out and try to find him, leaving Laura behind. Laura makes a mysterious phone call that Stephen overhears. Eventually, David finds Ben and brings him back to the house. Ben claims that he hiked up to Angel’s Peak to throw his God’s Eye off the mountain, and when he did, a purple scarf was blown back to him. David says that it is Abigail’s scarf. In Act Two, Ellen, Adam and Ben have left the house and are now at a motel. In a conversation with Adam, we learn that Ellen didn’t speak to Abigail for many years before her death. Back at the house, David, Stephen and Jeorge are preparing to go to Angel’s Peak. Laura tells Stephen that she can’t go with him, and that she’s been having an affair with another man in Raleigh. If today is truly her last day on earth, she wants to spend it with him. She leaves. David tells Stephen and Jeorge to go ahead without him. A distraught Stephen and Jeorge make their way up the mountain. Moments later, David shows up with Ben. In 2011, a preacher by the name of Howard Camping predicted the world would end at exactly 6 pm on May 21st. Hundreds of his believers quit their jobs and sold all their possessions to await the “final day.” The rest of us, obviously, believed that Mr. Camping was just a nut-job who was conning gullible people out of their hard-earned money. But many of these believers seemed convinced that the “end of days” had arrived. Their faith in Camping was both admirable and frightening. I remember sitting in New York City’s Bryant Park on that sunny May 21st. Just as the 6 o’clock hour was arriving, I noticed that the sky had darkened and the winds had begun to pick up. I looked around at several people who were lounging in the grass next to me, and I noticed that they were also gazing at the sky. Then a crazy thought went running around in my brain: “Could this actually be happening?” I looked at the startled woman next to me, and she looked back and sort of shrugged as if to say, “Well, there’s nothing we can do about it now!” Then 6 pm rolled around and, you guessed it, nothing happened! The woman and I both breathed a sigh of relief. The dark clouds eventually led to a spring shower, and we, along with everyone else in the world, went on with our lives. Ever since that day, I’ve wondered what happened to Camping’s believers who gave up everything they owned because of their faith. What happened to those people who woke up the next morning knowing that everything they had believed in was a lie? And what happened to those families who were torn apart because some believed and some didn’t? Georgia and I have created a fictional story about one such family – a widowed father who so surely believes that the world will end on September 1st that he asks his children and grandchild to climb a mountain to await Judgement Day together. In working on this piece, Georgia and I have realized we have a lot in common. We both came from Southern families with religious backgrounds, so we wanted to explore the political and social divide that exists in our country between rural and urban areas. We’re also interested in the divide between faith and science, and it was important to us to write a piece about Southern people that didn’t portray them as idiots, rednecks, or oversimplified punchlines. 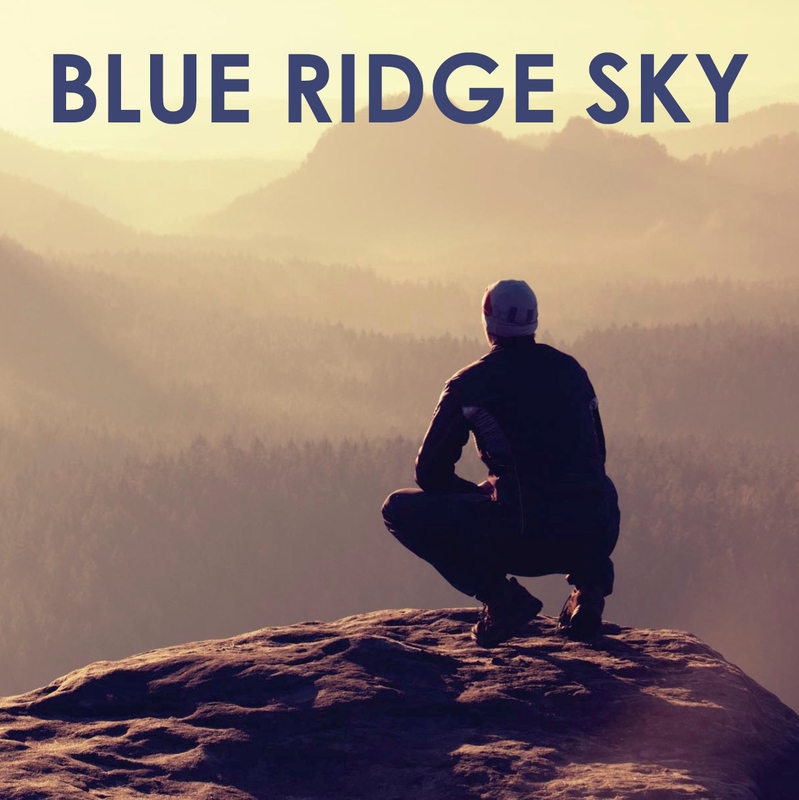 Blue Ridge Sky is a completely original story not based on any previous source material. After a year of writing this piece, our first developmental step was our acceptance to the Rhinebeck Writers Retreat this past summer under the guidance of Kathy Evans. We were given a week to work on our show, and then we presented several musical selections for a salon at the end of the week. The main focus of our time was enriching the lives of our characters, making the narrative clear and cohesive, and generating as many new songs as possible. In applying for the workshop at Signature, our goal is to continue to develop this original story, and explore the complexity of our characters so we may create a unique theatrical drama. I’ve always felt that musicals should be as intricate and complex as plays. Our hope is that we come away from our experience at Signature with not just a new musical, but also as part of a conversation about how to create a new kind of musical.